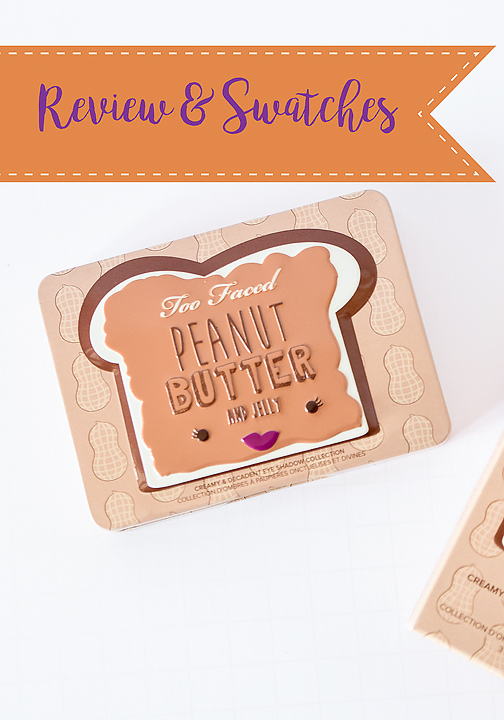 I love Too Faced Palettes its no secret. They are fantastic quality. 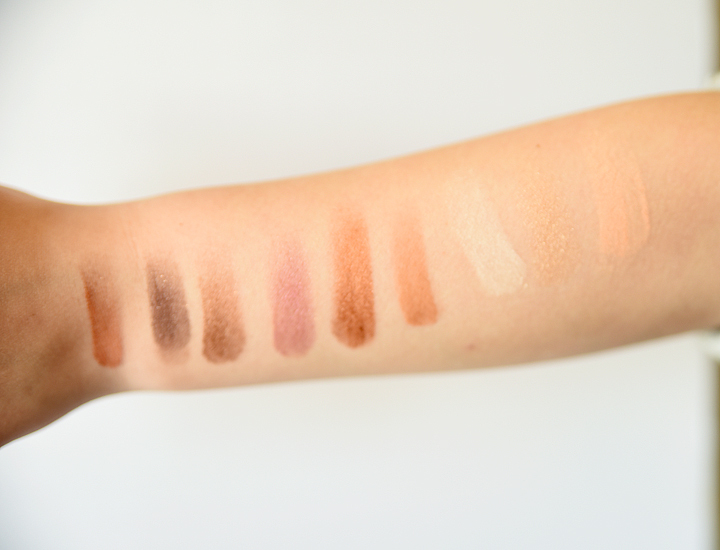 Very pigmented and blend like a dream. 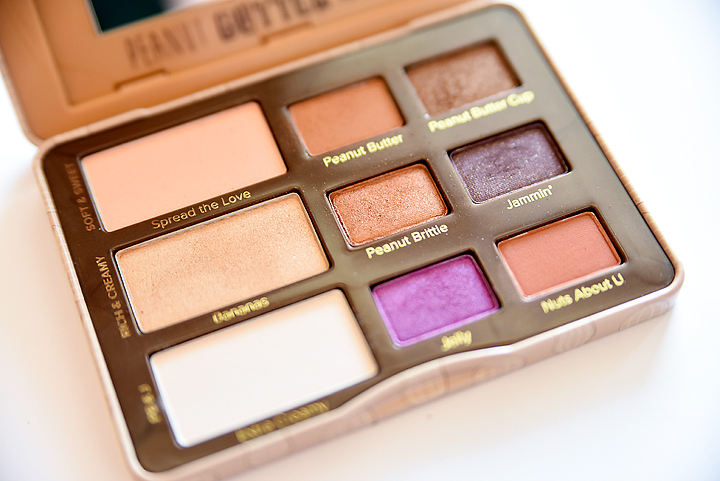 This Peanut Butter and Jelly palette launch recently and I just couldn’t say no. Look at that packaging and the SMELL.. oh the smell. Smells just like peanut butter. I am going to be completely honest. I love the quality and the colors I just don’t think it works for the Spring time. That is for me. It’s just too warm. Right now I want a fresh bright look. I cant wait to use it in the fall. The purples are my favorite. I may wear the brighter one during the Spring and Summer. Banana all over the lid is really pretty for this time of year, but I am not going to reach for this palette for one shade. This palette IS ONLY available at Ulta and retails for $36. I do believe that its limited edition so if your interested you may want to pick it up quickly. These swatches really do not do these colors justice. Take my word that they are super pigmented and beautiful.